The hub of sustainable horticultural solutions. Varying rainfall and unpredictable weather patterns are a result of the huge changes in the environment. As a result, water has become a precious commodity. Now more than ever, the correct amount of water, delivered at just the right time is the key to the upkeep of a healthy, lush garden. At Exquisite Plantscapes our use of automated controllers and valves are the ideal conservation choices and are guaranteed to be the most effective and efficient irrigation requirements for your garden. 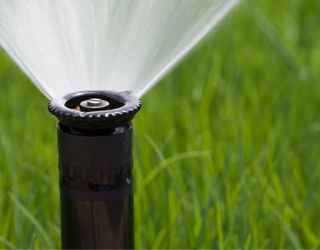 By combining our modern technology with an array of practices that are determined by soil type, plant variety, water source and our South East Queensland climate, we will provide you with the best in irrigation design, installation, repairs and maintenance. - We are irrigation specialists and utilise the most up to date technology for drastic water savings and reduced ongoing costs. Brisbane emergency irrigation call-outs and repairs. Once-off repairs, professional consultations and advice. 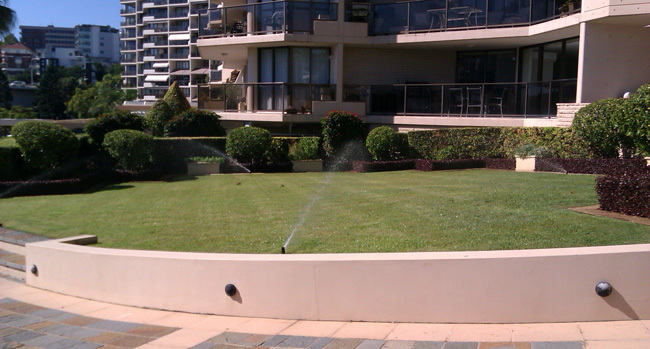 Garden irrigation system design and installation services. Refurbishments and amendments to existing garden watering systems. Supply of irrigation equipment, both domestic and commercial grade. Ongoing irrigation services across Brisbane, including regular maintenance of reticulation systems for both private and commercial clients. 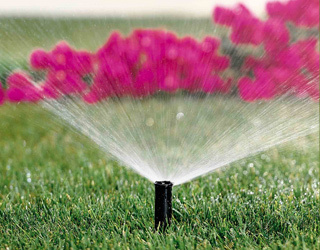 You can rely on Exquisite Plantscapes for a full spectrum of quality irrigation services. Call today to speak with us about your requirements.